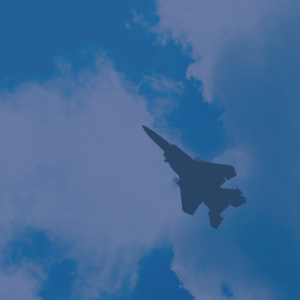 Aviation and aerospace are at the core of Xenophon’s client base and have been through the company’s history. Airbus was the firm’s first client and Xenophon has continued as Airbus’s Agency of Record for the past 17 years. Aerospace and aviation are among the most heavily covered industries in America and around the world. Here in the U.S., we have a robust press corps that covers the flying industries that include reporters with all major news outlets both nationally and regionally. And the number of influencers on the internet is staggering — everyone from straight flying enthusiast to technically knowledgeable bloggers, consumer activists, environmental activists and plenty of conspiracy types who focus on almost every accident. 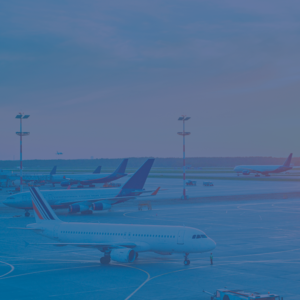 Xenophon has been deeply involved in aviation and aerospace issues since the firm was founded in 2000 and senior firm staff have been key players with the aviation press for decades. Firm President David Fuscus was the head of communications for Congress’s Transportation and Infrastructure Committee in the early 1990’s and later ran communications for the airline industry at the Air Transport Association; Senior producer Tina Babarovic was the Aviation and Aerospace producer for ABC News for almost 25 years and Senior Vice President Mark Hazlin has worked closely on these issues as a journalist with Forbes and USA Today. In short, Xenophon knows the works with all the leading aviation and aerospace journalists and influencers and has done so for almost 25 years. No firm is more deeply embedded in aviation communications than Xenophon Strategies. 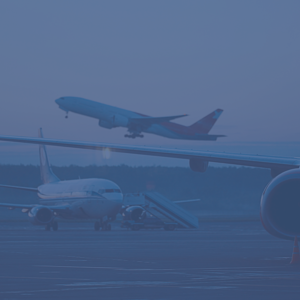 The work that Xenophon performs for its aviation and aerospace clients spans the scope of communications services from crisis communications (Xenophon has worked on every major U.S. commercial aviation crash since 1996), conducting digital and social media campaigns, mergers and acquisitions, earned media, public affairs and targeted advertising. 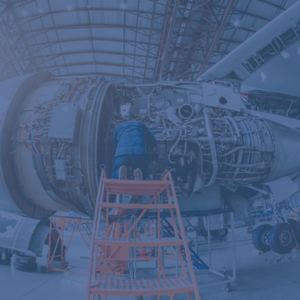 Xenophon’s work in aviation and aerospace covers all facets of the industries: manufacturing, airline & carriers, aerospace and military aviation, helicopters, MRO and major industry trade groups. Location – Paris, France to Miami, FL, USA. Airbus Americas – Xenophon has served as the agency of record for Airbus since 2000. The firm performs a wide variety of services including digital design & support, earned media, media events, graphic design, analytics and analysis and a host of other services. Xenophon is Airbus’s only PR firm in North America. ATR Turboprops Aircraft – ATR is the world’s leading manufacturer of turboprop aircraft. Xenophon’s work for ATR has included earned media, digital marketing, analytics and analysis. Safran USA – Safran is a French company with over $25 billion in revenues and is a manufacturer of commercial aircraft engines while also heavily involved in maintenance, overhaul and repair operations, along with military aviation. Xenophon designed and implemented a media relations and social media program to give the organization higher visibility in the United States. Airbus Military – Xenophon has supported several high profile issues and projects for Airbus Military which produces military aircraft, which are used in more than 30 countries. Vector Aerospace – Xenophon has worked on various issues with this major manufacturer of aviation and space components including messaging, communications strategy and training. Virgin America – Xenophon was hired by The Virgin Group to help them start anew airline, Virgin America. Xenophon’s work covered the entire range of public affairs with the goal of overcoming domestic airline opposition and securing accreditation for the start-up to fly. Xenophon’s work is wildly recognized as being vital to VA receiving their flight certificate. DHL Worldwide – Xenophon has performed a number of projects for DHL Worldwide and the firm’s parent company, Deutschpost Worldnet. Work included M&A support for three major acquisitions, building DHL’s crisis communications infrastructure and communications surrounding the company’s business expansion in the United States. Alaska Airlines – Xenophon fully supported Alaska’s response to the crash of Flight 261 off the coast of San Francisco. Work included immediate response, medium term communications and full support for the public hearing conducted by the National Transportation Safety Board. EOS Airlines – Xenophon designed and built the crisis communications system for EOS Airlines. Delta Airlines – Xenophon has conducted media training, along with crisis communications training, for Delta Airlines’ spokesperson. Midwest Express Airline – Xenophon designed and built the crisis communication system for Midwest Airlines, and also conducted media trainings and crisis drills. The Air Transportation Association – Xenophon served as ATA’s agency-of-record for eleven years. Work included day-to-day media relations, design and implementation of their social media strategy along with the design and implementation of four major, multi-million dollar public affairs campaigns. Regional Airline Association – The crash of Colgan Air flight 3407 threw the regional airline industry into turmoil over the issues of pilot pay, flight & duty time, fatigue and pilot commuting. Xenophon represented RAA by conducting a multi-year campaign to educate and clarify the structure and practices of the regional airline industry. Airbus – When Airbus, EADS and Airbus Military were combined into The Airbus Group, Xenophon continued doing work for all three of the organizations including earned media, extensive digital and social media work along with support for manufacturing facilities such as the new Airbus A320 factory in Mobile, Alabama. Safran USA – Safran develops and produces propulsion systems and equipment for launchers, space vehicles and satellites. In particular, Safran is a prime contractor for cryptogenic propulsion systems on Europe’s Ariane 5 and the planned Ariane 6 launchers. Safran is also the leading European producer of plasma propulsion systems for satellites. The company designs, develops, produces and sells engine which power 20 different types of aircraft for the armed forces in 30 countries. Xenophon provides a wide range of communications services for Safran in 2015. EADS North America – Xenophon supported European EADS through their long battle with Boeing over supplying tankers to the United States Air Force. Airbus Military – Xenophon has supported several high profile issues and projects for Airbus Military. Cobham – Xenophon began working with Cobham in 2017 on messaging and training. Cobham is a major British defense and aerospace company with extensive manufacturing facilities in the United States. Air Evac (Medical Transport) – Xenophon has represented Air Evac on a wide variety of issues including internal and crisis communications. Xenophon also developed, implemented and trained local Air Evac base personnel on a plan to interact with local media and the communities in which they are based. 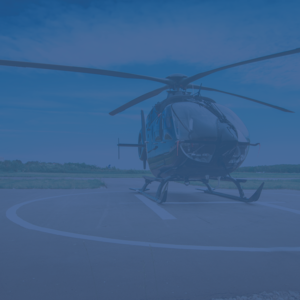 Air Medical Operators Association – Following a high profile hearing by the National Transportation Safety Board on Safety in the air ambulance industry, Xenophon was hired to develop a framework for improved industry cooperation on safety and a plan to promote the efforts. The Air Medical Operators Association was the result and the group has become the leading public voice on the air ambulance industry. Aveos Fleet Performance – Aveos is a leading Canadian maintenance, repair and overhaul company. Xenophon has worked with Aevos to help them communicate during labor unrest and to develop a social media infrastructure to better communicate with their employees. 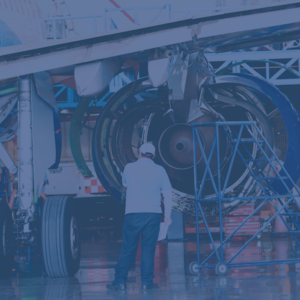 Aeroman – Aeroman is a leading MRO located in El Salvador. At various points over the past ten years, overseas repair bases have become a political volatile issues in the U.S. Congress. Because of Aeroman’s location in Central America, the company was often singled out in the debate. Xenophon worked with Aeroman to communicate the company’s track record of excellence both in the media and directly with Congress. The Air Transport Association – Xenophon served as ATA’s agency-of-record for eleven years. Work included day to day media relations, design and implementation of their social media strategy along with the design and implementation of four major, multi-million dollar public affairs campaigns.